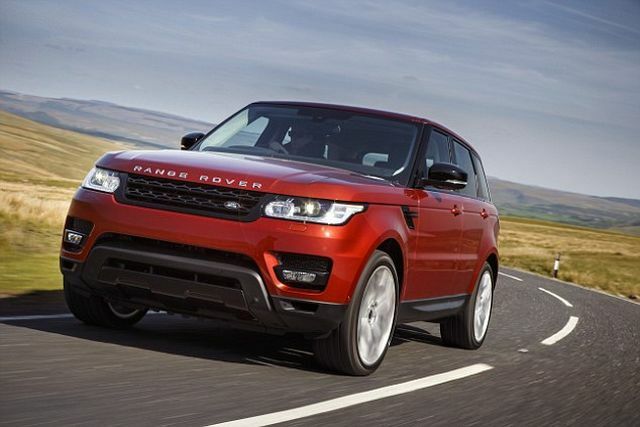 Nine Range Rovers set to star in James Bond film “Spectre” stolen in Germany. It is believed the theft from Dusseldorf could delay filming of 007 movie “Spectre”. The cars, worth an estimated £630,000, had been specially modified for film, reports Daily Mail. Luxury 4x4s Range Rover cars that were to appear in the hotly-anticipated upcoming James Bond film “Spectre” have been stolen from a garage in Germany. Nine Range Rover Sports, worth an estimated £630,000. These cars had been specially modified for the 24th 007 film and were awaiting transport to the Alps for filming. It is believed the theft could delay production. The Bond films are famous for the spy’s cars being fitted out with state-of-the-art gadgets and weaponry, so new luxury vehicles may have to be extensively altered. “The theft of the vehicles in Neuss is part of an ongoing police investigation and we therefore cannot provide any further detail,” a spokesperson for Jaguar Land Rover Germany told NBC News. The cars were designed specially for the film and have thinner windshields than normal Range Rovers do. Officials at the Jaguar Land Rover headquarters Germany confirmed that the manufacturer will continue to be “vehicle partner” for the movie. The five vehicles were valued at about $1 million, according to German media reports. Release 24th 007 movie “Spectre” is planned on 6 November 2015, will feature Oscar-winning star Christoph Waltz, Moriarty actor Andrew Scott, Italian star Monica Bellucci and French actress Lea Seydoux alongside Craig. And recently was introduced a new James Bond’s car. This is Aston Martin DB10. This car was developed specifically for “Spectre” and they’re building ten of them, but none that you can buy. Hybrid Jaguar C-X75 will appear in a new James Bond's movie "Spectre"
LeEco LeSEE Pro self-driving electric car might be featured in "Transformers 5"